Are you awaiting true relaxation, contemplation, and luxury? Let us present to you the truly spectacular Space Sectional Left Arm Sofa. Ultimate indulgence is nearby with the exceptional Space Left Arm Sofa. Part of the stylish, versatile and chic Space Collection, this Left Armed Sofa unit is a key piece in a suite that knows no bounds. 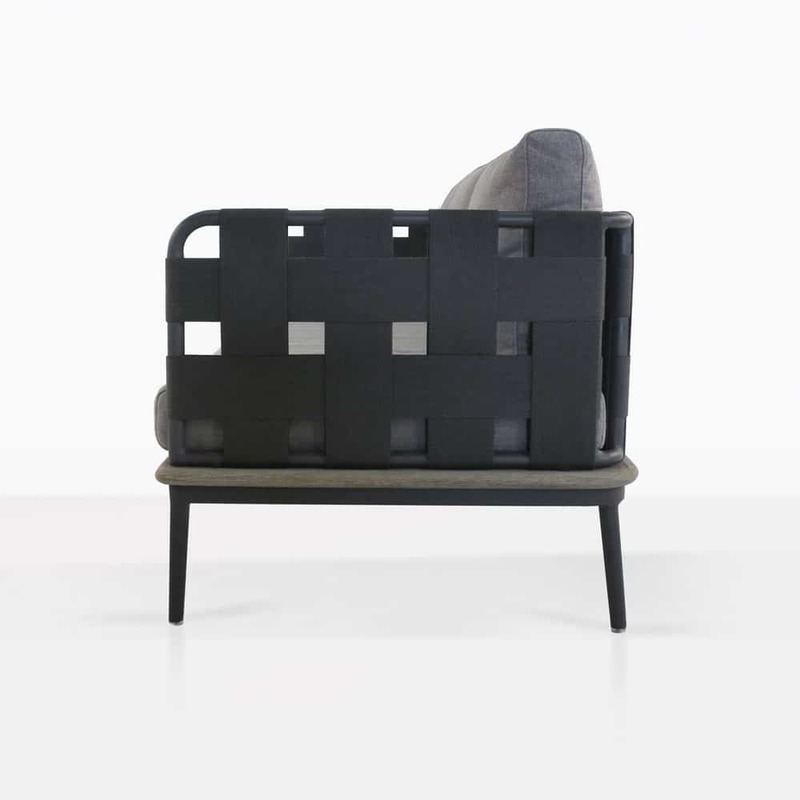 Styled to reflect modern sensibilities, each Space item is built on a dark charcoal powder coated aluminum frame, and detailed with aged teak adding character and charm to the gorgeous shapes. 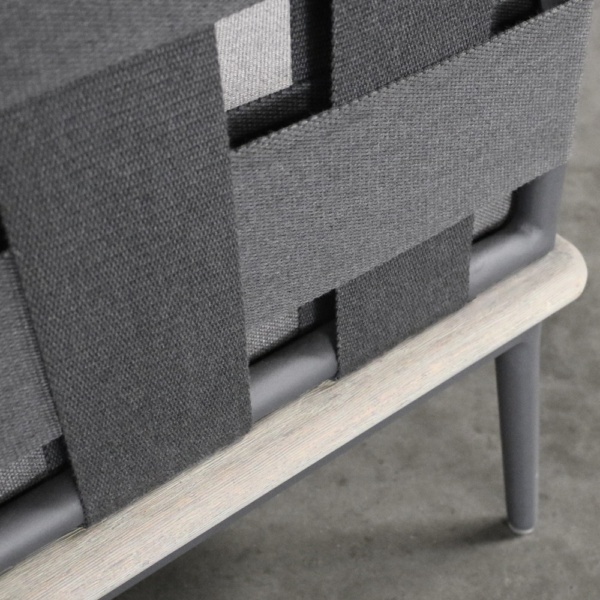 The frame is then wrapped with stunning wide, flat pieces of rope strapping, attributing to the minimalistic, Scandinavian look that is so popular and adaptable. Finally, each Space deep seating piece is given fundamental comfort in the two plump Sunbrella® cushions on the back and base… starting to get a peaceful, luxurious picture? 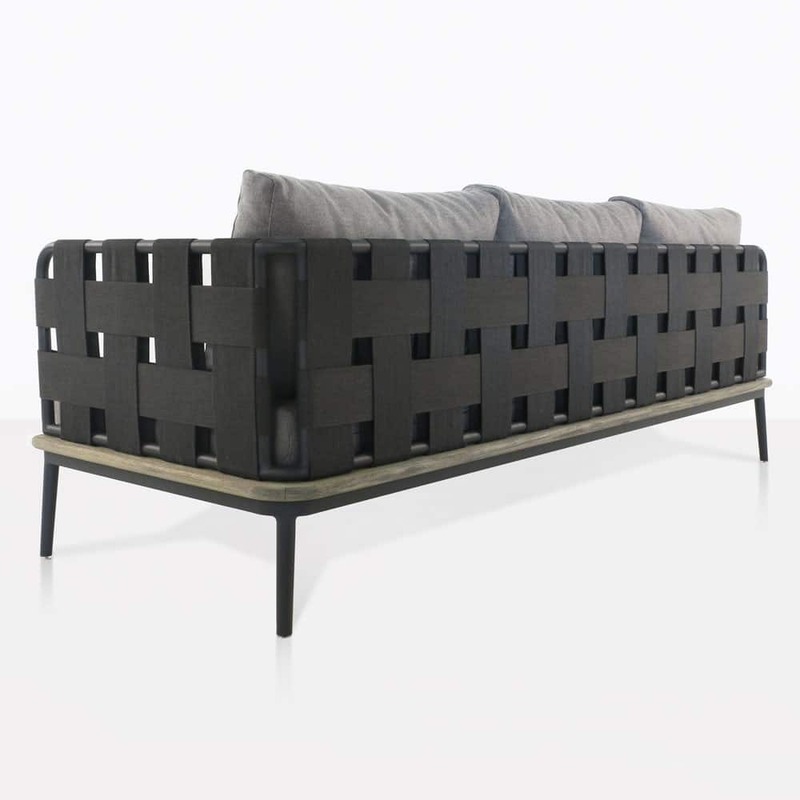 The Space Rope Left Arm Sofa is a gorgeous piece to have as a single, long chaise in a courtyard or small patio – dressed with a few pot plants, and a lovely side table for good measure. It also is extremely impressive as part of a greater sectional unit. Place a Space Left Sofa against the opposing Right Sofa for an incredible long seating settee that will inspire relaxation and rejuvenation! The Space Rope Collection is made from tremendous outdoor materials, all designed to withstand the powerful elements. 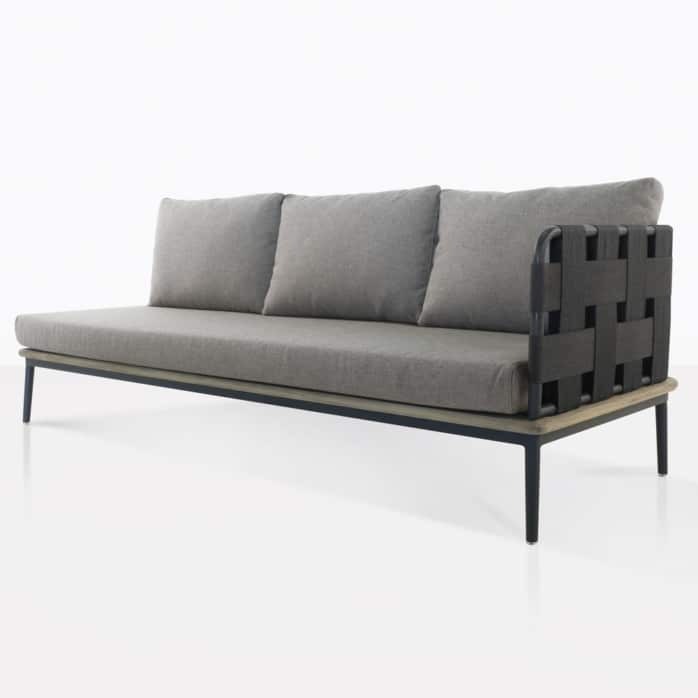 From UV treatment, to through dyed fabrics, to the powder coating on the frame, be assured that your Space Sofa is built for use in the great outdoors with minimal maintenance. Teak Warehouse is proud of our extraordinary collections, diverse options and high class style. The Space Sectional Collection will open up a world of chic living in the open air. Call us now to order your Space Left Arm Sofa!